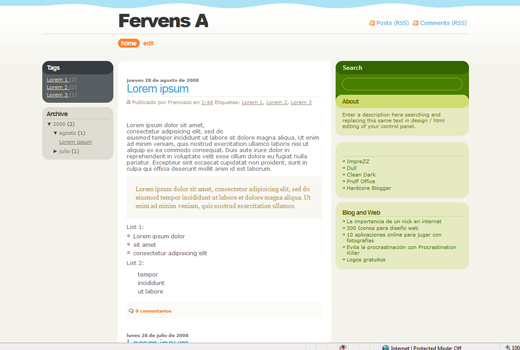 Fervens A blogger template for free download on Blogger Templates. Nice templates, better than expected designs.Thanks for these. Have you ever thought about adding a small bit much more than just your articles? I mean, what you say is essential and every thing. But believe about if you added some fantastic graphics or video clips to give your posts more, pop! Your content material is outstanding but with pics and videos, this site could undeniably be one of the very very best in its niche. Terrific blog!